Filing for Social Security disability can be a frustratingly complicated process. Navigating the ins and outs of filing for your Social Security disability benefits on your own is often difficult and time-consuming. To alleviate some of that stress and reduce the chance of having to file a Social Security disability appeal, you can hire a disability attorney. At RGG Law, our team of experienced disability lawyers are here to help. As a subsidiary of Parmele Law Firm, we have years of experience navigating through Social Security disability filings. We know what it takes to win the benefits you and your family need. We will work hard to make sure you get the resolution you need and deserve. Experience is everything, especially in the case of Social Security disability. Our Social Security disability lawyers will work with you through every step of your disability claims process. You will work with our disability lawyers to evaluate your existing claim and submit your paperwork to the Social Security Administration. Our team will also prepare you for any hearings or appeals that may happen during this process. When it comes to filing for Social Security disability benefits, financial need is always a focus. Our disability lawyers understand that you are filing for Social Security disability because of injuries that make it difficult to earn money. At RGG Law, we work on a contingency basis for all of our Social Security disability cases. This means that you pay nothing until you receive your disability benefits. Your consultation with our team of disability lawyers is also free. We strive to provide an honest assessment of your case so you understand the intricacies of your claim. Our RGG Law team goes over your case together to gain as much perspective on your case as possible. 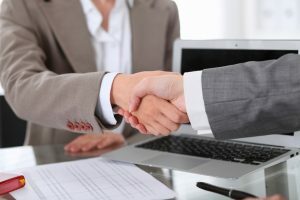 At your consultation, our team will go over the pertinent parts of your case and counsel you on the best course of action for your unique situation. At RGG Law, we understand that Social Security disability is a difficult process. We know it can be confusing and overwhelmingly time-consuming. Let our team of Social Security disability lawyers work with you to make the process go as smoothly as possible. Contact our office today to schedule your free consultation. See how our team can help you get the money you deserve. RGG Law is now a Subsidiary of Parmele Law Firm. Please Contact 855-727-6353 or visit ParmeleLawFirm.com for more information.